"Major life changes - even positive ones - always involve stress." Change is tricky. And sometimes it seems like everything is constantly changing. Change can be negative (loss, illness, grief) or positive (new marriage, new relationship, new home.) Change can be big (new baby! new country!) or small (new responsibility, back-to-school.) But all change comes with a lot of disruption. I'm not a big fan of change. It's so easy to lose your bearings when everything around you is shifting. 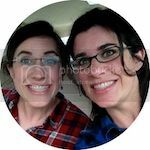 I've found 5 simple things that help me cope with change, big or small. The first thing is routine. My tendency is to go overboard with this & try to overhaul my life. I suddenly decide I'm going to become a morning person & start getting up at 5am to go for a run. But that never works. Don't get carried away & try to turn yourself into someone you've never been. Keep it simple. Figure out what's already working & add to it. I think the keys to developing simple routines that actually work in your life are to only add one or 2 routines at a time (don't try to overhaul your whole schedule at once) & to add routines organically. Pay attention to your days & adopt routines accordingly. Don't try to stuff yourself into someone else's schedule. My most consistent routine is my tea. The first thing I do every morning without fail is go to the kitchen & make a cup of tea. It's the exact same every day. I don't have to think about it or exert any effort. I even rotate between the same two mugs every day. There are lots of simple routines that can help when you're in transition. Reading the Bible every morning. Working out. Grocery shopping on a certain day. For me, even TV is part of my routine. I like having certain shows that I watch on certain days. For some reason that works for me, helps give my week a rhythm. So that's my first tip: develop simple routines. 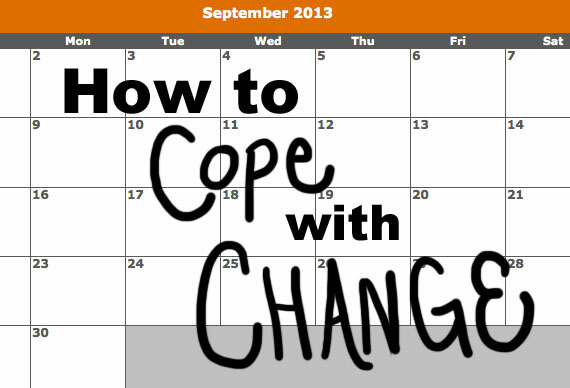 Come back on Mondays in September & October for a few more ideas on how to cope with change. That's really good advice. I find change difficult and probably make it worse by trying to adapt all my usual routines at once. I'll be back to check out the rest of the series. (I rotate two mugs also but it has to be coffee! ).